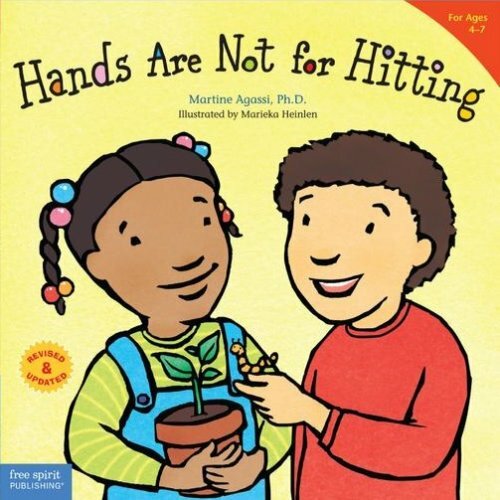 Hands are Not for Hitting is written by a Psychologist and is part of the Best Behaviour series. It helps to teach children that hitting is never okay and describes many positive actions we can do with our hands. This book is written in a similar style to a Social Story, where the negative feelings that often lead to hitting are acknowledged, as well as how it feels to be hit. This is followed by many examples of positive and loving actions we can do with our hands, such as playing, drawing, counting, and helping. The colourful, multicultural illustrations and interactive questions throughout make it very relatable for children. The book also includes a very useful section for adults, offering advice as well as ideas for further activities and discussions.